For the #madememedieval hashtag currently going around Twitter, here’s the story of how I became a medievalist (although I didn’t realize it until much later). This is part of the Preface to Reactions Medieval/Modern, the catalog for the exhibit I curated at the University of Pennsylvania Libraries in Fall 2016. When I was eleven years old, my parents brought my brother (who would have been thirteen at that time) and me to England for two weeks during the summer. They rented a house in the southwest corner of the country, not far from Bath, and borrowed a car. We went all over the place; I remember Salisbury and Stonehenge, Wells Cathedral and Bath Abbey. I also remember riding in the back seat down a particularly narrow road surrounded by trees and fields and pointing out the funny stones the cows were grazing around, at which point my father remarked that we were probably getting close to Avebury. But one memory of that trip stands out above all the rest: The Castle. Over the years, The Castle in my mind has grown to almost mythical proportions as I’ve come to realize (even more so over the past couple of years as I have been preparing for this exhibition) that it marks the point at which I was destined to become a medievalist. My reaction to The Castle was an epiphany, my path set in childhood—and I didn’t realize it until almost thirty years later. In my memory, we visited The Castle toward the end of the afternoon. I was probably tired and grouchy, although I don’t remember that. (I spent much of this trip tired and grouchy.) I do remember a small town, walking through a residential area with lots of houses, turning the corner, and all of a sudden there it was. It was very different from Warwick Castle, which we’d visited earlier in our trip and which I’d found dull and crowded and ugly. This one was small. I remember a tower, and a demolished wall; it was a ruin. There was no one else around, so my brother and I climbed on the broken walls and ran around and basically acted like kids. At some point, I noticed that the interior of the tower, which was several meters tall, had regular sets of holes around the perimeter, several feet apart horizontally and several more running vertically all the way to the top. I asked about the holes, and someone told me that wooden beams would have gone through those holes, serving as supports for floors. And I remember being struck very suddenly that people had lived here. I was standing in this ruined tower, we were using it essentially as a playground, and yet hundreds of years ago people had made this place their home. That experience was the first time I can remember having a visceral reaction to a physical object, a reminder that this object was not just the thing we have today, but a thing that has existed over time and been touched by so many hands and lives before it came to us, and will continue touching people long after we are gone. As my personal experience attests, reactions are both immediate and ongoing, with potentially long-term effects (on both people and objects). 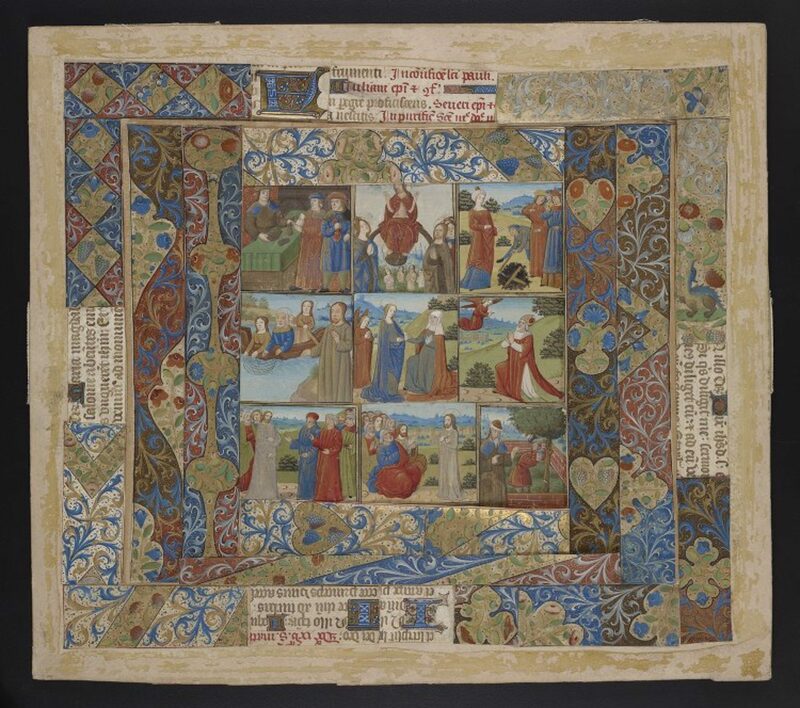 Not all premodern book owners wrote in their books, and not all modern artists look to medieval manuscripts for inspiration, but by looking at the various ways that medieval and modern people have reacted to manuscripts, we may come to appreciate these objects as more than simply bearers of information, or beautiful things for us to enjoy. They bear the marks of their own history, and they still have the potential to make history today and in the future. 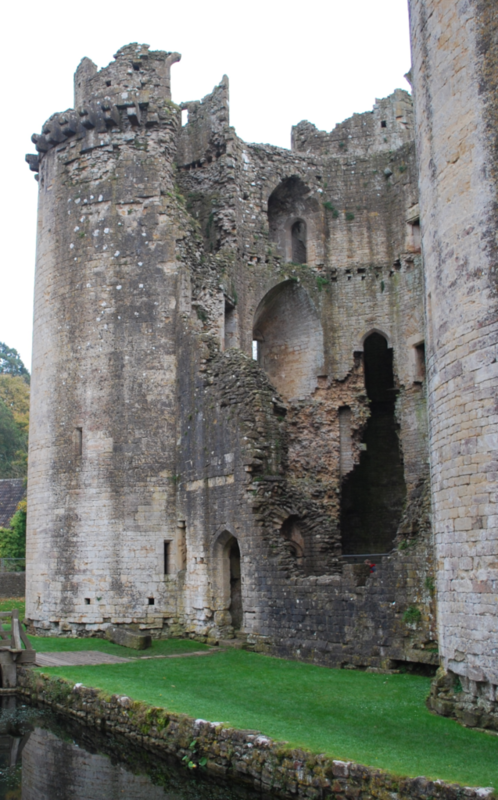 The Castle: Nunney Castle in Southwest England, not far from Bath. Photograph by Hugh Llewelyn, licensed CC:BY:SA.